In addition to regular autoexposure mode, where your digital camera sets both aperture and shutter speed, your camera may offer aperture-priority autoexposure or shutter-priority autoexposure. These options offer more control while still giving you the benefit of the camera’s exposure brain. 1Set either the aperture to set the shutter speed. 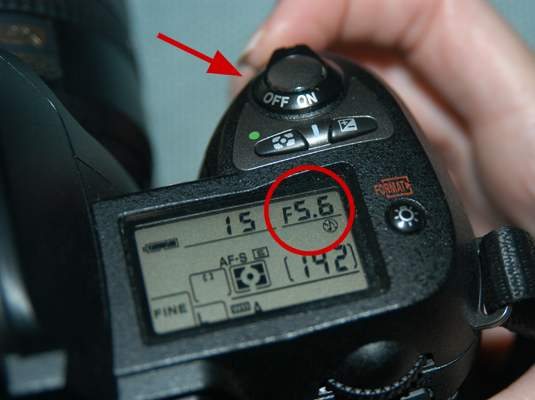 If you set the aperture, you’re use aperture-priority autoexposure. If you set the shutter speed, it’s shutter-priority autoexposure. This figure shows the aperture being set. 2Frame your shot, then press the shutter button halfway. The camera checks to see what aperture or shutter speed you chose, and it then selects the other setting (the shutter speed or aperture) necessary to correctly expose the image. 3When the camera signals you, press the shutter button down completely to take the picture. Usually, a light blinks on the camera or it makes a beeping noise to tell you it’s ready to take the shot.